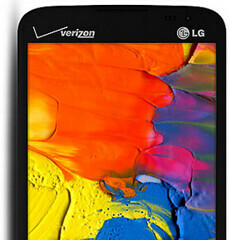 Verizon today released a new and affordable Android smartphone made by LG. Called LG Lucid 3, the handset comes as the sequel to last year’s Lucid 2, and is being introduced not long after Verizon released the LG Zone 2 and LG Extravert 2 (both offered to pre-paid customers only). Unlike the Zone 2 and Extravert 2, the LG Lucid 3 is available to all Verizon customers. It’s free with a new 2-yr contract agreement, and $299.99 without contract.